Many steelworkers thought they had hit the jackpot. Back in March, Donald Trump announced steep tariffs on metals imported from most of the world, and three months later he added close allies such as Canada and Mexico to the list. As with many of his other economic policies, Trump claimed that the move was designed to benefit U.S. workers, a few of whom were brought to the White House with their hardhats to serve as props when the measure was first announced. Now months have passed, and steelworkers are still waiting for the payoff. As one of them recently told the Washington Post, “It’s been a little like watching the air going out of a balloon.” When it comes to steel company profits, the party is still in full swing as the industry reaps the benefits of soaring prices. Yet the producers are resisting sharing the wealth with their workers. In fact, the big companies took such a hard line in their contract negotiations with the United Steelworkers that union members authorized strikes against United States Steel and ArcelorMittal. If a walkout were to occur, it would interrupt the labor peace that has prevailed in the industry for several decades. It has been widely reported that Trump’s tariffs may be harming more workers than they are helping, as industries dependent on the affected imports lay people off or otherwise squeeze employees to deal with the increased costs. The situation in steel shows that even in the favored industries workers do not necessarily benefit when their employers experience a windfall. They have to fight for their share. The same principle applies in sectors not directly affected by tariffs. Take Amazon, which has been basking in praise after setting a $15 an hour minimum wage for its growing workforce. This was not a case of corporate generosity. The company, headed by the ridiculously wealthy Jeff Bezos, has been under increasing pressure over poor working conditions at its distribution centers. Amazon had replaced Walmart as the prime exemplar of the abusive employer. Sen. Bernie Sanders recently introduced legislation called the Stop Bezos Act to penalize large companies whose low-wage workers had to depend on government safety net programs. This, plus the Fight for $15 campaign and the community groups organizing around the company’s plans to build a massive second headquarters complex in a yet-to-be-chosen city, compelled Amazon to start to move away from the low road. In a recent interview with the PBS Newshour, Fed chairman Jerome Powell was the latest economic analyst to call it a mystery that wages are not rising more in a tight labor market. Decades ago, when pay levels were rising rapidly, mainstream economists did not hesitate to cite unions as a key cause—and in fact blamed organized labor for being too aggressive. Yet these same economists cannot bring themselves to acknowledge that the weakening of unions, brought about by employer animus and government restrictions, is now a major reason for wage stagnation. The good news is that collective action, both through unions and other labor organizations, seems to be making a comeback. That—and not the bogus labor-friendly trade and regulatory policies of the Trump Administration—will be what restores the living standards of the U.S. workforce. The titans of the tech economy want us to believe that among their achievements is the transformation of the workplace into a more humane and nurturing environment. This accounts for the frequent stories about headquarters campuses with endless amenities and flexible work arrangements. It’s often another story when you look beyond those glittering complexes to the more mundane sites where the routine work is done. The manufacturing, distribution and customer service facilities that prop up the tech companies have a lot in common, in a bad way, with their old economy counterparts. The latest indication of that reality comes in the 2018 edition of the National Council for Occupational Safety and Health’s Dirty Dozen list of employers that put workers and communities most at risk. The council is a federation of local COSH groups that for nearly 50 years have been promoting safer workplace practices. This year’s Dirty Dozen includes two new-economy corporations that work hard to portray themselves as enlightened: Amazon.com and Tesla Motors. 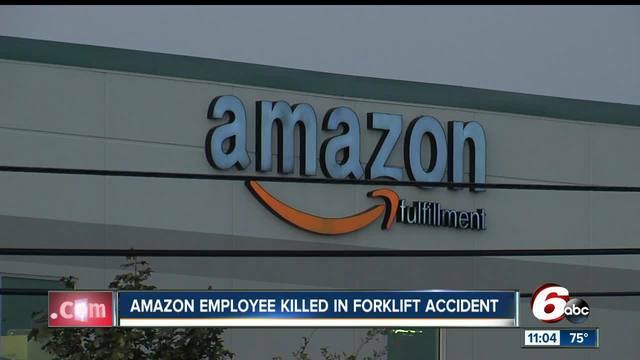 Amazon makes the list because of a series of fatal workplace accidents at its warehouses over the past five years. The report points out that the facilities create hazards by demanding that workers maintain a dangerously intense pace of work in order to service the company’s rapid delivery system. One Amazon center in Pennsylvania became infamous for having paramedics stationed outside full-time to deal with the frequent cases of dehydration and heat stress. Violation Tracker’s summary page for Amazon lists 17 OSHA fines totaling $208,675 – but most of those come from its Whole Foods subsidiary. Amazon’s distribution and fulfillment centers don’t have more entries because many of their workers are technically employees of temp agencies and leasing firms. Tesla makes the Dirty Dozen list because National COSH found that its injury rate was 31 percent higher than the rest of the automotive industry and its rate of serious injuries was 83 percent higher. The report cites a series of articles about the safety problems at Tesla, including a Los Angeles Times story stating that Tesla had an accident rate greater than notoriously unsafe industries such as sawmills and slaughterhouses, despite being much more automated. Tesla’s reported accident rate may actually be understated. The Center for Investigative Reporting’s Reveal project found that Tesla failed to include some of its serious injuries on legally mandated reports. Among the reasons Amazon and Tesla have been able to get away with their unsafe practices is the absence of unions in their U.S. facilities. Both companies have succeeded, so far, in beating back labor organizing campaigns by employing the argument that workers at a supposedly enlightened company do not need a third party to represent them. The truth, of course, is that unions are not really third parties but instead an expression of the desire of workers to present a united front in dealing with management. When it comes to employers such as Amazon and Tesla, that collective action may be the only way to ensure that workers can get through the day in one piece. No one should begrudge a few more bucks to underpaid retail workers, but the bonuses should be regarded with a skeptical eye. It’s clear, to begin with, that the companies making these announcements are doing so to curry favor with the Trump Administration and Congressional Republicans. And the amounts being offered to employees represent a small portion of the financial benefits the corporations will enjoy from the tax giveaway. At Bank of America that portion was reported to be about 5 percent. There’s also a problem with the way the payments are being made. The fact that many of the workers are being given one-time bonuses rather than increases in their base pay means that the impact will be fleeting and do little to address the ongoing problem of wage stagnation. But perhaps worst of all is that employers are taking these steps on their own rather than negotiating with their workers. That’s possible because they are in almost all cases non-union. 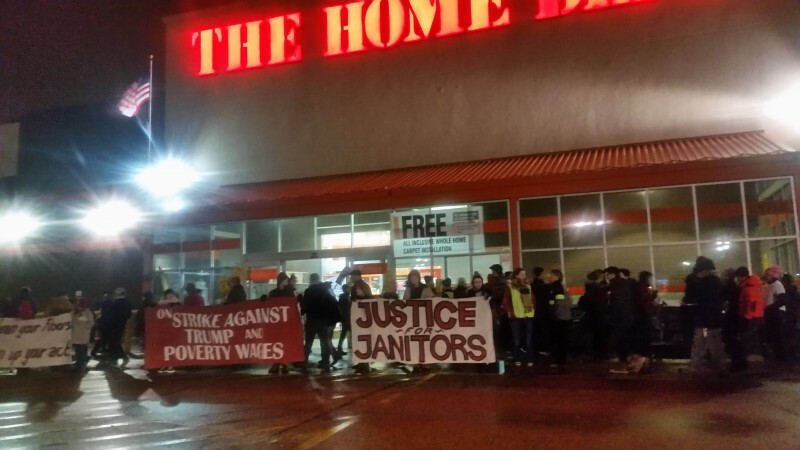 Some such as Walmart have a notorious history of anti-union animus, while others like Starbucks have resisted organizing drives in more subtle ways. There are a few exceptions. For example, AT&T, which is extensively unionized, discussed its bonuses with the Communications Workers of America before making the announcement. Nonetheless, the CWA, which had called on telecommunications companies to provide the $4,000 wage increase Republicans claimed would result from the tax bill, vowed to negotiate for more than the $1,000 payments AT&T said it would provide. While AT&T maneuvered to downplay the role of the CWA, most of the bonus givers need not take such steps. They can present their payments purely as an act of corporate benevolence. They are also an affirmation of the lop-sided balance of power in non-union companies. Management gets to decide whether and how to share the tax windfall in the same way it makes all other decisions that affect the lives of their workers. This is seen in the fact that companies such as Walmart and Comcast announced their bonuses around the same time they were carrying out substantial layoffs. Large companies are adopting the Trumpian practice of pretending to act in the interest of workers without actually empowering them. If Corporate America really wanted to help their employees, they would drop their opposition to unions and let workers bargain for real gains rather than handouts. Donald Trump has built an image as a champion of workers by fomenting fear of immigrants. Get rid of the foreign-born, he vows, and native workers will prosper. What’s odd is that this misguided notion is coupled with an embrace of foreign corporations. The administration’s America First economic policy relies to a substantial degree on promoting investment from abroad. Many of Trump’s supposed job creation achievements have involved Asian companies. Soon after the election Trump claimed that Japan’s SoftBank had promised to invest $50 billion in the United States and create 50,000 jobs. Soon thereafter, Trump and Chinese mogul Jack Ma vowed that the latter’s Alibaba e-commerce empire would create 1 million U.S. jobs. In June, Samsung said it would open an appliance plant in South Carolina. More recently, Japanese automakers Toyota and Mazda said they would jointly build a $1.6 billion U.S. assembly plant with 4,000 jobs. With the blessing of the White House, Taiwan’s Foxconn announced plans for a $10 billion flat-screen plant in Wisconsin (probably in the Congressional district of Speaker Paul Ryan) that would purportedly employ up to 13,000 people. Foxconn is reported to be considering another plant in Michigan. While these announcements are presented as a boon to American workers, there are reasons to be cautious. Companies such as Foxconn have made big promises in the U.S. before and failed to deliver. It and SoftBank and Alibaba may be simply currying favor with Trump and will be unable to make good on their extravagant job-creation projections. Their main aim may be to discourage some of Trump’s more aggressive protectionist tendencies. And even if Foxconn’s projects do materialize this time, there are questions about the quality of the jobs it may create. Foxconn has a long reputation for abusive labor practices in China, where it has been a leading contractor for Apple. Concerns about the U.S. labor practices of foreign companies are not just a matter of conjecture. In fact, while Foxconn’s plans have been all over the news, less coverage was given to what happened at the Nissan assembly plant in Canton, Mississippi: an organizing drive by the United Auto Workers was soundly defeated, with the union blaming the outcome on an aggressive management campaign of scare tactics, intimidation and misinformation. What happened in Canton is nothing new. For the past three decades, Asian and European automakers have been opening U.S. assembly plants, focusing on states with low union density and a political climate hostile to labor organizing. Taking advantage of their non-union status, they have made excessive use of contingent labor and weakened the ability of workers to act collectively to improve their conditions. Trump, of course, launched no tweet storms against Nissan and expressed no support for the workers in Canton. On the contrary, for a supposedly populist president, Trump has promoted a series of anti-worker policies. These include moves to shift the National Labor Relations Board in a pro-employer direction, reverse the overtime pay reforms adopted by the Obama Labor Department and weaken workplace safety and health rules. In Trump’s worldview, workers are supposed to express solidarity not with each other but rather with their employers and their President. That’s a strange sort of populism. Massey Energy is notorious for the 2010 Upper Big Branch disaster that killed 29 workers at a coal mine with a long history of safety violations. Yet Massey, now owned by Alpha Natural Resources, has another dubious distinction: it was responsible for the largest back pay award mandated by the National Labor Relations Board in recent years. Massey paid out $22.8 million after the Board found it had committed unfair labor practices when it refused to recognize the United Mine Workers after it purchased a unionized West Virginia mining operation (separate from Upper Big Branch) and declined to continue the employment of most of the union members there. The information about Massey’s payment emerges from the latest expansion my colleagues and I at the Corporate Research Project of Good Jobs First have made to the Violation Tracker database. We obtained a list of some 3,000 back pay awards through a Freedom of Information Act request to the NLRB. The awards, covering the period since the agency adopted its new NxGen database system in 2011, total more than $284 million. This is not the complete list of unfair labor practice back pay cases during the period. The NLRB excluded from its FOIA response what are known as non-Board settlements — those reached by the parties before the NLRB has ruled on the matter. The Board said some of the awards are confidential, and since its system could not easily identify which those were, it left out all the non-Board settlements. Among the other biggest NLRB back pay awards since 2010 are: $16.2 million paid by Midwest Generation (a subsidiary of NRG Energy), $10.7 million paid by Delphi Packard Electric (part of Delphi Automotive), $10.3 million paid by Fluor-Daniel (a unit of the engineering company Fluor), and $10 million paid by Momentive Performance Materials. The NLRB dataset is an important addition to Violation Tracker. The Board issues press releases about only a small number of back pay awards and does not make data about other awards easily retrievable in the case information on its website. This appears to be the first time extensive NLRB back-pay award data is readily available online. It should be noted, however, that information on back pay awards for the dozen years preceding 2011 is buried in a large NLRB dataset posted on Data.gov. My colleagues and I extracted the data. The entries for 2010 (the current starting point for Violation Tracker) are part of the new update. Earlier entries will be included in an expansion of the entire database back to 2000 that will be posted in a few months. Those earlier entries contain some back pay awards much larger than those cited above, including $130 million paid by Lucent Technologies and Avaya Inc., and $97 million paid by CF&I Steel. Along with the NLRB data, Violation Tracker has also been updated with recent entries from the more than 40 federal regulatory agencies already covered by the website. Also new on the site are links on the parent-company summary pages to the pages for those companies in the Project On Government Oversight’s Federal Contractor Misconduct Database and in the list of the 100 largest federal contractors on POGO’s FedSpending site. Violation Tracker now contains more than 161,000 entries with total penalties of more than $324 billion, the vast majority of which is connected to some 2,460 large parent companies. It’s good to see unfair labor practice culprits take their place alongside corporate violators of environmental, health and safety, consumer protection and other laws that protect workers and the public. And even if there is a modest improvement, it won’t include the kind of well-paying jobs that used to characterize coal mining. According to the latest annual report on coal from the U.S. Energy Information Administration, unionized underground mining jobs are now outnumbered three to one by non-union surface mining jobs. The executive order’s lifting of the freeze on federal coal leasing, which is concentrated in Western surface mines, will increase the gap. This did not happen by accident. The coal industry has been seeking for years to weaken the United Mine Workers by shifting work to non-union operations or by spinning off UMW-represented mines as weak stand-alone companies. The industry’s biggest producer, Peabody Energy, did this in 2007 when it shed Patriot Coal, which subsequently declared bankruptcy and was given court approval to slash wages, pensions and healthcare benefits of its workers and retirees. Today Peabody has only one operation left with a UMW presence. Anti-union animus was pronounced at various companies — especially Pittston and Massey Energy — that merged into what is now called Alpha Natural Resources. One consequence of de-unionization is that coal managers can more easily cut corners on safety. This was seen at Peabody more than three decades ago. In 1982 the company pleaded no contest and paid a penalty of $130,000 to settle federal charges that it falsified dust-sampling reports submitted to the Mine Safety & Health Administration (MSHA) as part of the monitoring of conditions that can cause black lung disease. In 1991, after a year-long investigation by MSHA, Peabody once again stood accused of tampering with coal-dust test results. It pleaded guilty to criminal charges and was fined $500,000, the largest penalty that had ever been assessed for a non-fatal violation of federal mine safety regulations. In 2006 a dozen miners died in a methane gas explosion at the Sago Mine in West Virginia operation, which had been cited by MSHA for “combustible conditions” and “a high degree of negligence.” During 2005 the mine (then run by International Coal Group, which later merged into Arch Coal) had received more than 200 violations, nearly half of which were serious and substantial. Allegations of poor safety practices at a non-union mine surrounded an even worse disaster — the death of 29 miners at Massey Energy’s Upper Big Branch operation in West Virginia in 2010. The mine had been cited more than 50 times by MSHA in the month before the explosion and had racked up 1,342 violations over the previous five years. In 2011 Alpha Natural Resources, which bought Massey after the accident, had to pay $209 million to settle federal criminal charges. If Trump really wanted to do something to help coal miners, he would beef up MSHA’s enforcement capacity and embrace labor law reforms that would help the UMW regain lost ground. Instead, he is proposing a 21 percent cut in the budget of the Labor Department, of which MSHA is a part, and staying silent on the anti-worker practices of the coal companies he is so eager to assist. Bring back manufacturing jobs: For years this has been put forth as the silver bullet that would reverse the decline in U.S. living standards and put the economy back on a fast track. The only problem is that today’s production positions are not our grandparents’ factory jobs. In fact, they are often as substandard as the much reviled McJobs of the service sector. The latest evidence of this comes in a report by the UC Berkeley Center for Labor Research and Education, which has issued a series of studies on how the growth of poorly paid jobs in retailing and fast food have burdened government with ever-rising social safety net costs. Now the Center shows how the same problem arises from the deterioration of job quality in manufacturing. The study estimates that one-third of the families of frontline production workers have to resort to one or more safety net program and that the federal government and the states have been spending about $10 billion a year on their benefits. What makes these hidden taxpayer costs all the more galling is that manufacturing companies enjoy special benefits in the federal tax code and receive lavish state and local economic development subsidies, the rationale for which is that the financial assistance supposedly helps create high-quality jobs. The Center’s analysis deals in aggregates and thus does not single out individual companies, but it is not difficult to think of specific firms that contribute to the vicious cycle. A suitable poster child, it seems to me, is Nissan. It is one of those foreign carmakers credited with investing in U.S. manufacturing, though like the other transplants it did so in a pernicious way. First, it tried to avoid being unionized by locating its facilities in states such as Mississippi and Tennessee that are known to be unfriendly to organized labor. After the United Auto Workers nonetheless launched an organizing drive, the company has done everything possible to thwart the union. Second, while boasting that its hourly wage rates for permanent, full-time workers are close to those of the Big Three domestic automakers, Nissan has denied those pay levels to large chunks of its workforce. Roughly half of those working at the company’s plant in Canton, Mississippi are temps or leased workers with much lower pay and little in the way of benefits. It is significant that in the Center’s report, Mississippi — which has also attracted manufacturing investments from other foreign firms such as Toyota and Yokohama Rubber — has the highest rate of participation (59 percent) in safety net programs by families of production workers. The Magnolia State may have experienced a manufacturing revival, but many of those new jobs are so poorly paid that they are creating a burden for taxpayers. At the same time, Mississippi is among the more generous states in dishing out the subsidies to those foreign investors. My colleague Kasia Tarczynska and I discovered that the value of the incentive package given to Nissan in 2000 will turn out to cost $1.3 billion — far more than was originally reported. Toyota got a $354 million deal in 2007, and Yokohama Rubber got a $130 million one in 2013. There’s a lot of talk these days about bad trade deals and resulting job losses. We also need to worry about what happens when we gain employment from international investment but the jobs turn out to be lousy ones.